Roller skating has a long history. Most people think of the 1950s or the 1970s as the heyday of skating, but it goes back even earlier than that! 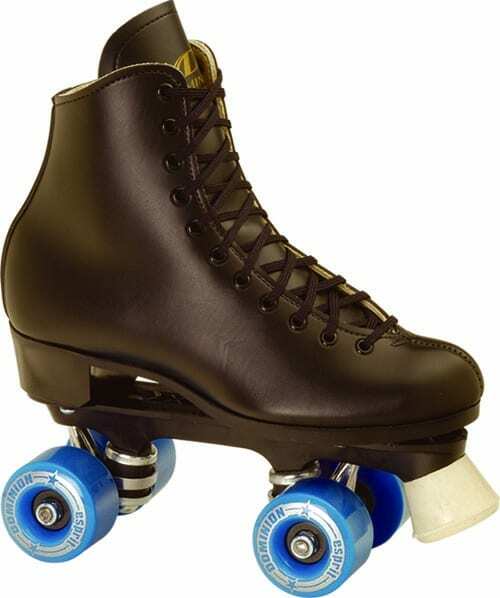 The first skates were patented in 1760, which makes them older than the United States. These early skates were a lot like ice skates, except with wheels instead of a blade. They were a little like inline skates, except they had no brakes and were very difficult to steer and stop! Roller skaters wanted more maneuverability, leading to lots of advances over the next hundred years. In 1863, James Plimpton invented the “rocking” skate. This used a four-wheel configuration, much like standard skates do nowadays. It also had independent axles, which made better stability as well as maneuverability. The first public skating rinks opened in 1857. By the 1860s and 1870s, “rinkomania” had swept through the US and parts of Europe. This popularity continues! The sport of roller hockey even made an appearance in the 1992 Olympic Games. Nowadays there are almost 5,000 roller derby clubs in the US alone, in major cities all over the country. As summer rolls around and parents start looking for ways to keep kids learning over the break, incorporate the history of roller skates into your summer offerings. Why not host trivia games with novelties and gift certificates to your pro shop as a prize? Whether you’re hosting a summer camp or just inviting parents to drop off their kids for safe, clean, supervised fun this summer, a little extra learning never hurt anyone.